Severus Snape drawing by Jenny Jenkins. 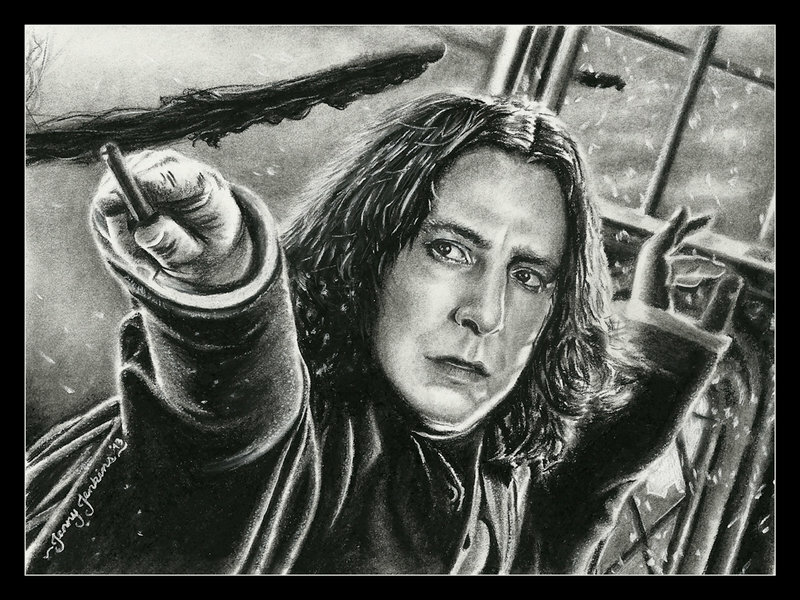 Severus Snape (Alan Rickman) from the Harry Potter film series, charcoal pencil drawing. HD Wallpaper and background images in the Severus Snape club tagged: photo severus snape alan rickman harry potter half-blood prince drawing fanart portrait pencil wizard death eater. This Severus Snape photo might contain atlantic herring, clupea harengus harengus, herring, clupea harangus, pacific sardine, and sardinops caerulea.